Hey SDSers, alumni, community partners, and friends! 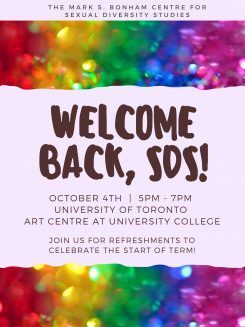 Please join us on October 4, 5pm-7pm at UTAC for drinks and snacks and other queer pastimes to celebrate the new term! You can also find the Facebook event here.